Dobbs’ grandfather, George Lee Dobbs, moved to Texas in 1858 and settled near Veal Station where they bought a home in 1859. Today this place is in Rev. Dobbs’ name. His grandfather, who started the home in Veal Station, and his first wife had seven children. Two or three years after she died he remarried a widow woman and they had ten children of their own which brought the total number of children to 19 since she had some by her first marriage. After the harvest of crops each year, Rev. Dobbs’ grandfather would haul his load of wheat and corn all the way Dallas to get it milled. Rev. Dobbs has also worked at various jobs to help supplement his income during those earlier years. Once while he was running a service station, a couple came in and asked him to marry them right then. So the likeable preacher performed the ceremony at the station. Another time while he was visiting friends at a clinic , a couple came to see him and he performed the ceremony on the porch of the hospital. “I was working as the clerk in the Lipan Post Office when on this particular day I was the only one there and a couple came in and wanted me to marry them. I told them that if someone came in during the ceremony I would have to stop and help them and then come back and continue. A banker came in during the service so I lay the license down and helped him and then went back and completed the ceremony,’ he said. When Rev. 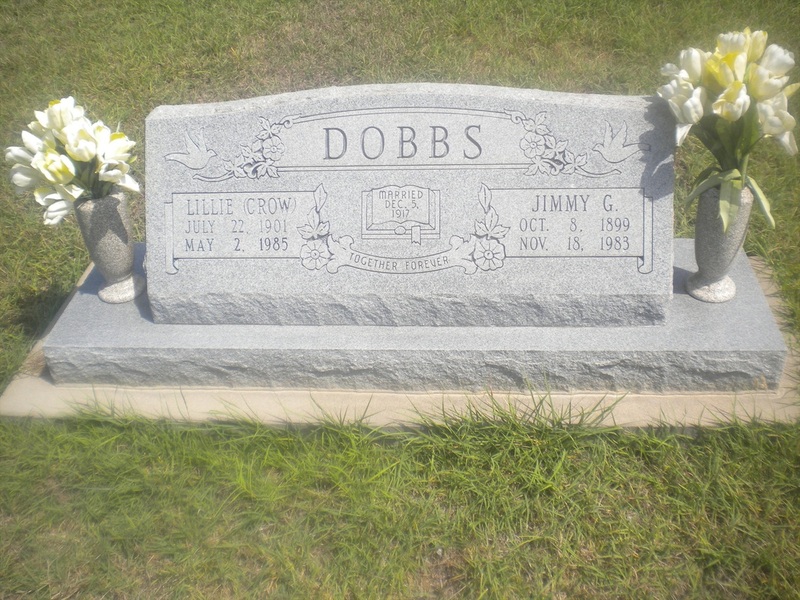 Dobbs married his wife of 54 years, Lillie Mae Crow, when he was 18 and she was 16, he wasn’t able to complete his high school education. However, the hardworking and industrious man went back to school in 1950 at Millsap to complete his education. The school superintendent let Rev. Dobbs keep a study hall to pay for his tuition. So in 1951, 34 years after he had quit school, Rev. Dobbs graduated from Millsap High School. Perhaps this experience is why Rev. Dobbs enjoys working with the young people so much. “I have taken an interest in youth and have encouraged them to take part in the service. I listen to their problems and counsel with them,” he said. Rev. Dobbs is truly an amazing person and just talking with him is a real pleasure for anyone. He is one of the outstanding citizens of our county.